Don't know where to start when it comes to tofu? 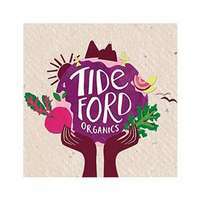 Follow this delicious recipe from Tideford Organics and you can't go wrong! Cut the tofu into 2cm square pieces and reserve in a shallow flat dish. Roll the limes on a hard surface to soften them for juicing later on. Peel the limes, then finely chop the zest. Then peel and chop the ginger into matchsticks. Mix the lime zest and ginger in with the tofu. Add the Haccho Miso to a bowl, and squeeze the lime juice in. Mix the two together well before adding the olive oil and stirring. Then pour this mixture over the tofu. Gently stir the tofu together with the Haccho mixture and allow it to marinade for an hour to let the flavours infuse. Bring a large pot of slightly salted water to the boil. Trim, halve and wash the broccoli and blanch in the boiling water for 4-5 minutes. In a shallow frying pan on a medium heat, place the tofu and Haccho marinade. Warm the tofu slightly, turning it gently for 4-5 minutes. Remove the broccoli from the water and arrange it on 4 large serving plates. Distribute the tofu evenly across the plates and drizzle over the warmed marinade. Roughly chop the kimchi and garnish the plates with it. Finish with a drizzle of olive oil and serve.